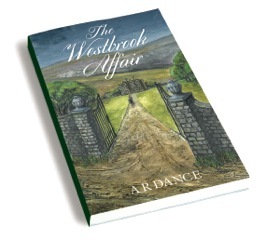 This book is set in Yorkshire and Nottinghamshire between the years 1828 and 1867. It chronicles the lives of families from opposite ends of the social divide, and how a man-made disaster eventually leads to the discovery of a lost family fortune. Whilst it is a work of fiction, accounts of real events that occurred in both Nottingham and Sheffield are included as part of the plot, and some of the characters are based on real people. Nottinghamians, for example, might be reminded of one of the most brutal and notorious murders ever to have been committed in the town, which resulted, at the subsequent public execution, in an even greater loss of life than that perpetrated by the murderer. And many residents of Sheffield will undoubtedly be aware of one of the greatest man-made disasters ever to have occurred in the country, resulting in a massive loss of life and damage and destruction of unimaginable proportions in their home town. Young Joseph Lambert has enjoyed all the childhood privileges befitting the son of a wealthy Yorkshire squire. But when his widowed father is mysteriously killed in a riding accident, his comfortable world is suddenly torn apart. Joseph’s elder brother, the dissolute and self-indulgent Miles, inherits the estate and promptly abandons his young brother, leaving him to fend for himself. Determined to seek his fortune, the thirteen-year-old orphan makes his way to Sheffield where he secures an apprenticeship in a cutlery factory. Seven years later, now an accomplished and skilled craftsman, he marries Hannah and soon a daughter, Eliza, is born. But barely is Eliza old enough to know her father, when tragedy strikes. Hannah is struggling to support herself and her daughter, when one day an old lady arrives with an astonishing tale to tell. And slowly, a forgotten family secret begins to unfold.